Empowering women to live their place in the story of God. She.ology is for women who are scared, broken, happy, confident, hopeful or hurting. It is for women who love God deeply or love Him barely or love Him maybe. It is for wives and mothers, daughters and sisters, girlfriends and best friends. She.ology is for those who believe God intended more for Eve than living out life as an animated rib, forever dependent on Adam for survival and meaning. God made her complete, able to love wholeheartedly and lead exceptionally. 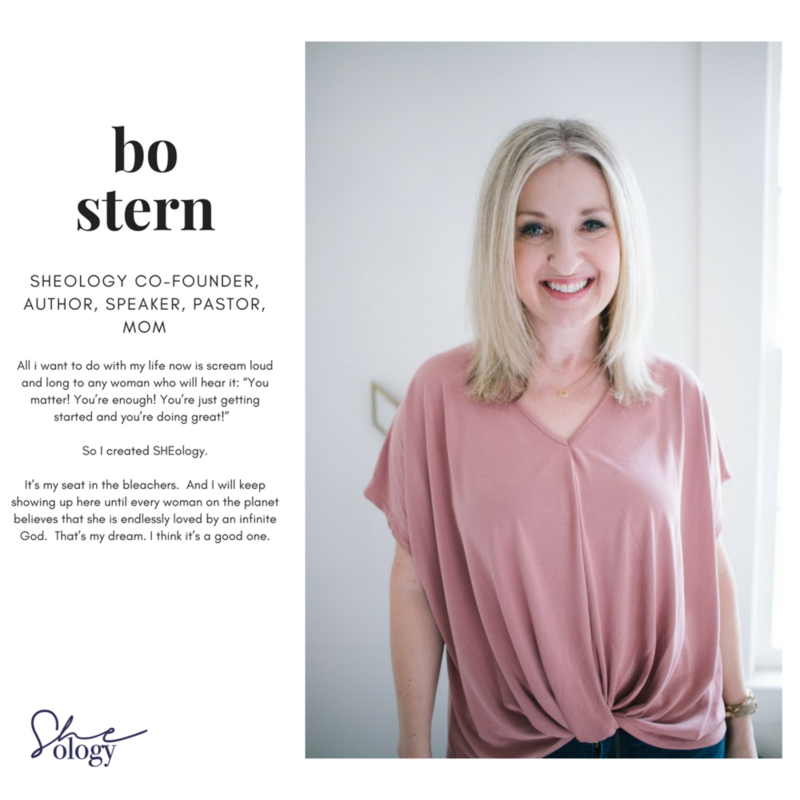 She.ology is for women who acknowledge that God is up to something beautiful in our gender. He is calling us out to places old and new, and asking us to use our lives, gifts and words to partner with Him to make beauty grow wild in our world. For this we are created and to this we are called: To multiply His goodness here, there and everywhere. In short, She.ology is for you. We’re so glad you’re here.